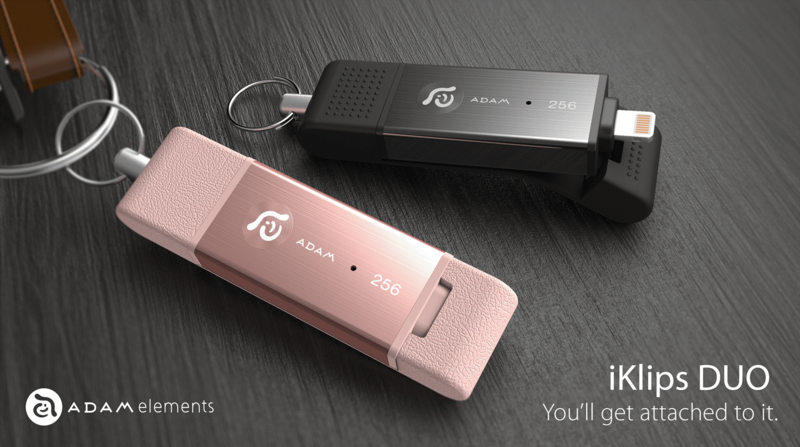 Adam Elements, a leading smart lifestyle solutions brand, is excited to announce the launch of its latest version of iKlips – the iKlips DUO. Combining a perfected flash drive with a refined, intuitive app for managing your device in so many more ways, it is quite the DUO. iKlips 2 is the other half of what makes iKlips DUO even better. It is an intuitive app that makes using your iKlips DUO an even easier experience, featuring 3D Touch support, multi-select, Spilt View, password protection, Drop To, and even integration with Apple’s Music app to access your iTunes purchases. Now all your music, photos, videos, work projects, Adobe files, and all your other creations can be securely shared between devices – iPhone, iPad, iPad Pro, Mac, and PC. Having the ability to organise, store more and share on the go with friends, family, and colleagues gives you the power to do more. 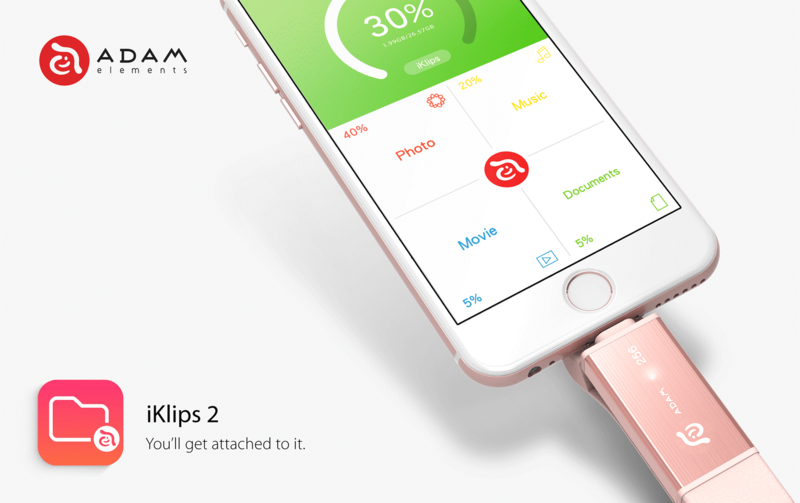 iKlips 2 is the way you want to manage your device – easily.